Choosing video over the written word has meant a drop in audience for four major outlets. When a wave of websites announced this spring and summer that they were cutting back on the written word and pivoting to video, so to speak, they likely expected some decline in their page views. But it’s tough to believe they anticipated the swift and dramatic drop-off they have reportedly experienced. 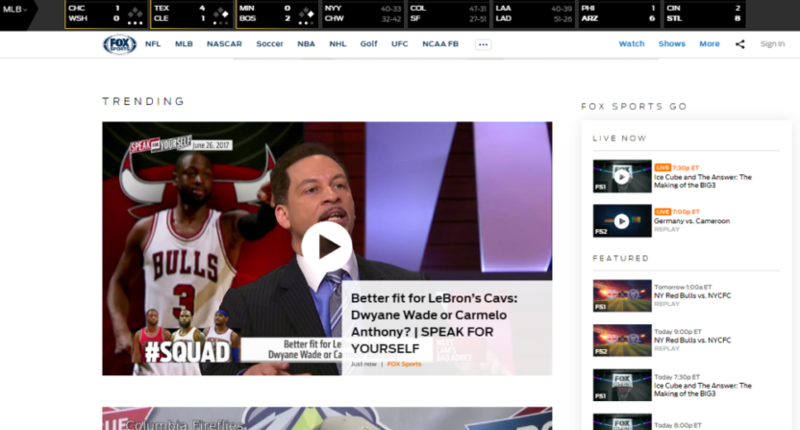 Last week, Sports Illustrated’s Richard Deitsch reported that Fox Sports had lost 88 percent of its digital traffic since ditching words for videos, and soon after Digiday’s Ross Benes published a report on stark traffic dips across sites that had pivoted. Digiday’s article acknowledges that the numbers here might be imprecise but asserts that the trend line is undeniable. In addition to Fox Sports, Vocativ and Mic, Benes pulled numbers for VICE Sports, which similarly gutted its editorial operation for a video-centric approach, only to suffer a steep loss of audience. Now, it’s important to note that a decline in page views doesn’t necessarily mean a decline in revenue for these sites. The reason so many publishers have looked to video is that video is easier to monetize. Advertisers can slap a quick commercial at the beginning of a clip and essentially force you to acknowledge it, making those ads more valuable than static ones on the side of a text-based page. As Digiday points out, the cost per thousand impressions is much higher for video than for text. The traffic numbers look bad for media companies that recently pivoted to video, but it’s worth noting that video CPMs are much greater than display CPMs. Among the 100 largest publishers online, display CPMs tend to run from $2 to $6, while video CPMs range from $12 to $20, according to an ad buyer requesting anonymity. So if a publisher gets more of its traffic from video, it is technically possible to see a dip in traffic while maintaining ad revenue. Additionally, video (and the ads that come with it) is accessible not only on the websites that produce it but also on social media, meaning clips can gain impressions without those impressions showing up in the page views. That said, the less you draw people to your site, they less they click through and the less brand loyalty you develop. Even if the video model doesn’t require a massive number of page views, it’s still nice to get people on your site. And that’s the sacrifice Fox Sports, Mic, Vocativ, VICE and others have made. Note: shortly after this post was published, a reader pointed us toward this report from SI’s Jimmy Traina that suggested not only had Fox Sports’ total page views fallen off dramatically, but it’s video impressions had, also. That fact certainly undermines the idea that increased ad revenue from video could come close to making up for the decline in audience.